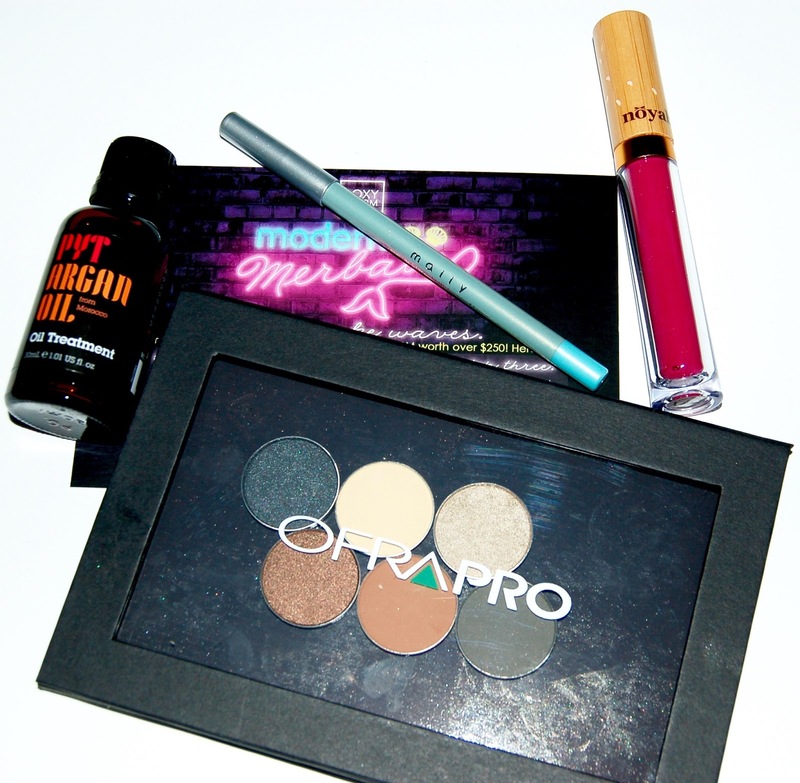 The theme for this month's box is Modern Merbabe. This is a hair oil that is supposed to fight frizz and make your hair shiny. Hair oils don't really excite me but I'm always willing to try a new one to find one that truly works great for my hair. This eyeliner is a gorgeous silver/blue color. I was glad to receive a product from Mally Beauty since I've never owned anything from this brand. This is a really pretty pink natural lip gloss. It's not super pigmented, but the color can be built up with more layers. The packaging is so pretty! I didn't even know that Ofra made eyeshadows so I was really excited to see this in my Boxycharm box! I love that they gave us a magnetic palette and not just the shadow singles. 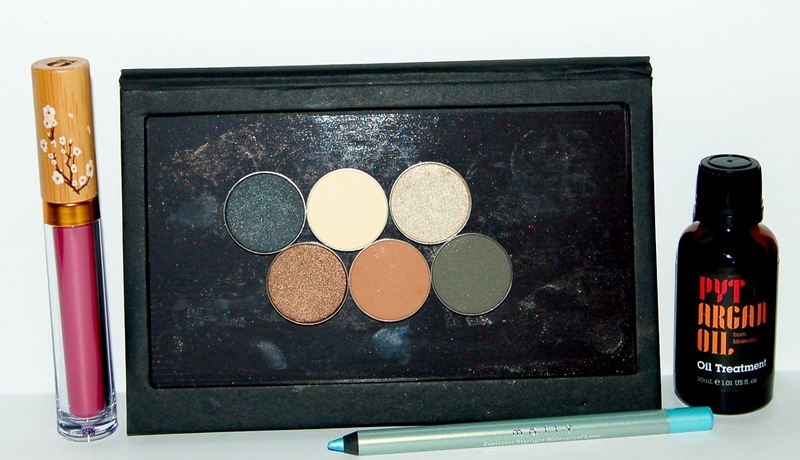 The eyeshadows they included pretty much make a complete neutral palette. There's a transition shade, lid and outer corner colors, and even brow bone shade! Overall I really liked the July Boxycharm box! The eyeshadows and palette are awesome and so is the Mally eyeliner. The gloss is a really pretty color. I wasn't too excited about the hair oil but I'll definitely use it. Each Boxycharm box costs $21, you can cancel at any time and shipping is free. I don't even know how to count the amount of full size products in this box, but in my opinion it's 5 (gloss, eyeliner, hair oil, shadows, magnetic palette). The retail value of the items in this box comes to $123, that's more than 5 times the cost of the box!